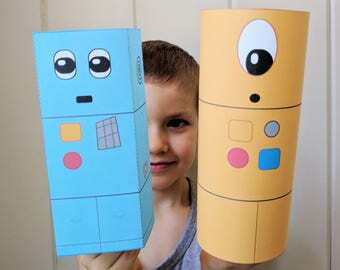 Printable Papercraft Pack - Toys, Robots, Dinosaurs, and more! The Printable Papercraft Pack is full of 25 unique papercrafts and activities to encourage learning and inspire creativity. 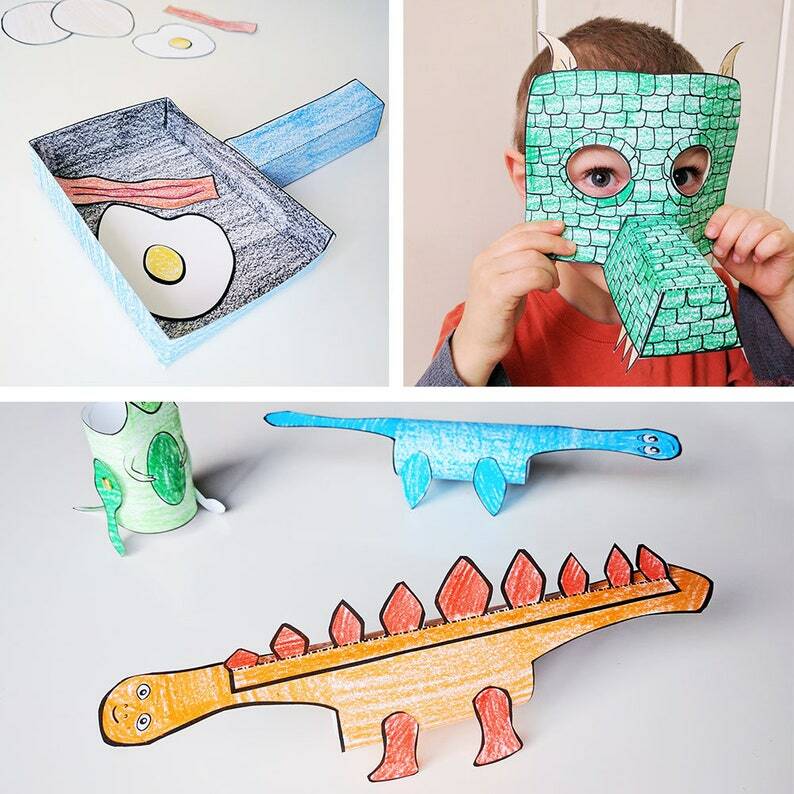 What started as a way to help to help inspire my boys’ creativity led to me sharing these crafts with others. I‘ve been blown away by the teachers and librarians who share the ways they’ve used the crafts in their own schools. 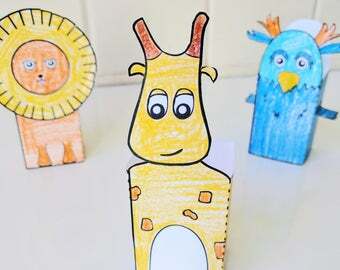 I’m so excited for you to have a chance to use these crafts in your own home or classroom, and I can’t wait to see the ways they inspire creativity in your own kiddos! There are so many printables out there! What makes these unique? -High quality and unique - these aren't your average printable! 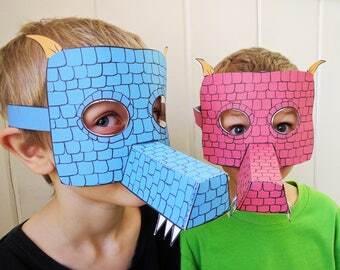 -3D Shapes - many of the crafts are 3D shapes, not just flat printables. 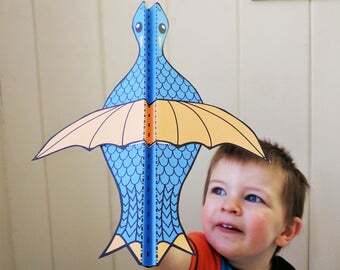 -Interactive - These are crafts that can be played with once they are made, and inspire kids to be creative. You may print as many copies as you would like, but these crafts are for personal and classroom use only. This product is a digital download. Once Etsy has confirmed your payment, you will receive a link which will allow you to download the .zip file. This link will be sent to the email address you have registered with Etsy. Have any questions? Feel free to contact me using the contact button in my shop. Wonderful print kit! My son has already enjoyed the print outs so much, and I'm so thrilled that I can print them again and again as my baby gets older, too. She does great work and I highly recommend her printable packs to anyone, especially educators! Had fun making it, it sure calms the mind to watch it wobble. I accept payment from Etsy or Paypal. Because digital items are available for download after the purchase is complete, I can't offer refunds. Please check the file types carefully and have a way to unzip the ZIP file download. You may use any of my digital files and clip art for non-commercial use. You may not resell my items, share the digital files, reproduce them, or claim them as your own.